Welcome to Carrots! I'm so glad you're here. This is where I share thoughts on liturgical living, faith, parenting, culture, and an extra dose of Jane Austen. You can sign up for my email newsletter here to stay in touch, or look me up on Facebook or Instagram! We know that Pope Francis has supported breastfeeding women (even in church) and Our Lady offers a beautiful example of motherly love when she’s depicted nursing in the tradition of Christian art. There is wonderful encouragement for nursing mothers in our faith, but some of us still face difficult challenges when we try to breastfeed. 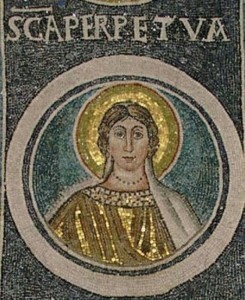 An early Christian martyr and noblewoman, St. Perpetua kept her infant son with her in prison so she could continue to nurse him while waiting for execution. As a mother who was torn from her son’s life at such a young age, I imagine she cherished their nursing relationship and the ability it gave her to continue to nourish her child in her last days. Her companion, St. Felicity, was a slave who was pregnant while imprisoned and gave birth to her daughter shortly before being sent to the arena. Both these women would make excellent patrons for new mothers. After being deprived of the ability to mother their children on earth, I am sure they delight in watching out for little ones from above. Unable to breastfeed her children (including her youngest, St. Therese of Lisieux), the only option available to Bl. 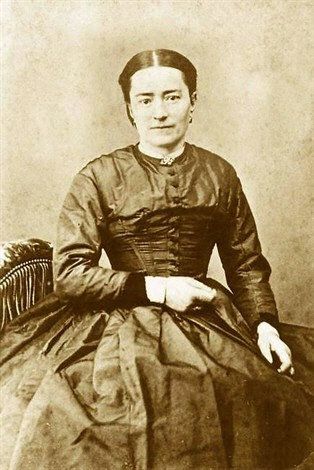 Zelie Martin in the last half of the 19th century was to send them away to live with wet nurses during their infancy. Imagine how she must have felt, having to live far from her infant children (many who died during their time away) because she was unable to breastfeed! A jewel of a Saint (well, soon to be Saint – she’ll be canonized in October! ), after reading The Mother of the Little Flower, I think she’s the perfect patroness for the modern mother, especially for working moms (she ran her own lace business), mothers of strong-willed children, and, obviously, those with breastfeeding issues. Perhaps an odd anecdote for modern ears, St. Bernard is associated with a miracle of lactation. Various paintings depict this legend, in which the Virgin Mary sprays breast milk at St. Bernard while nursing Baby Jesus during a vision. This is done in response to his request, “Show me that you are a human mother.” Apparently, at the time the divine nature of Jesus was well accepted but his human nature was much more contested. By showing that she did in fact produce breast milk (and therefore Christ required the nourishment of breast milk, just like any other child) she assured St. Bernard of His human nature. This action was also representative of Mary’s spiritual motherhood of St. Bernard and all mankind. Surely St. Bernard understands the miracle of breastfeeding and would gladly intercede for all nursing mothers. That the official patron Saint of breastfeeding is a man is a bit puzzling but the fact that there is such a patron at all is a testament to the fact that the Catholic Church supports nursing mothers. St. Giles was a hermit in Southern France in the late 7th/early 8th century. 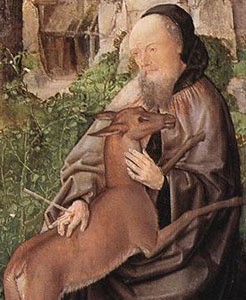 Legend says that he survived many years living solely on the milk from a hind (a female deer), thus the (somewhat odd) connection with nursing. Though I’m not sure this male hermit had all that much experience with breastfeeding in his lifetime, I’m sure he has much experience praying for nursing mothers since he was named their patron. 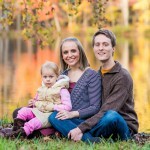 Mandi is coming up on five years of marriage, mothers a high-energy preschooler, and is about to embark on her fifth out-of-state move in five years. She loves fancy cheeses, cheap red wine, Jeopardy, and war history. After four consecutive miscarriages, she’s expecting another baby in November. Read her thoughts on miscarriage and pregnancy after loss at A Blog About Miscarriage. Psst! Don't miss new Carrots posts! Sign up to get new posts delivered straight to your inbox here . Why I Breastfeed in Public: The Blessed Virgin Mary Does It! "Have You Ever Felt Like Being a Mother Has Ruined You?" These are beautiful thoughts. 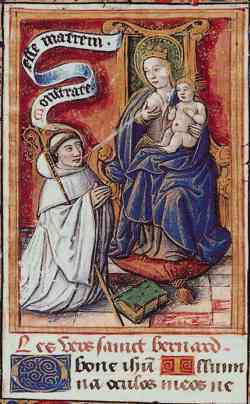 Beyond Our Lady of Le Leche, I’ve never given any thought to saints and breastfeeding! I love her exploration of it here. Thanks, Mandi! P.S. My 17 month old just weaned himself 🙁 Hold me. Thank you! My daughter weaned herself at 17 months too. It was pretty traumatic for me! There are several version of the story out there – I did read a few that talked about eye infections! In “crunchy” circles, breast milk is always the “go to” solution for every ailment. Unfortunately, it’s not something we all have available and lying around the house! I had a sty when my newest was about 2 months old and I used breast milk on it. The sty was gone by the next morning. 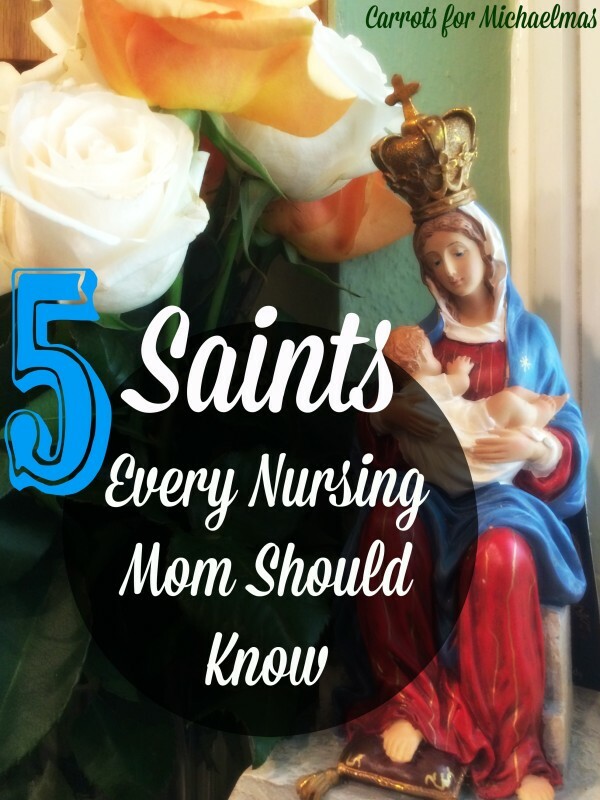 I’m about to embark on my motherhood journey with my first child in a few weeks and was actually just wondering about saints for this very topic! I am a convert and have such a gap in knowledge of the saints, but I am trying to learn more and share my journey and struggles with them. I’ve learned about lots of saints for pregnant women, but haven’t learned about ones for breastfeeding yet, so this is wonderful! Glad to have these to ask for help from in the coming months! So interesting! Thanks for sharing Mandi! I had only heard of a couple of these saints. What an awesome post! I knew about the nursing connection with St.Bernard and St. Perpetua, but I had not realized that Bl. Zelie was unable to nurse. I had lactation failure with my first and was unable to bf him exclusively (thankfully my second was able to nurse for 20 months). I know in my mind I falsely equated failure to nurse with being a bad mother. So nice to have a Bl to show that that is not the case! I’ve been a fan of yours for awhile now and just heard your podcast interview on Catholic Exchange. Job well done!! Thank you for your good work. I am not a young mother but one who has adult children and grandchildren but still, your writings are very relevant. God bless you, your family, and your work. Wow, love these – so beautiful and inspiring! I’m a convert and don’t know much about the saints. I just recently had read that St. Therese’s mother worked and did not breastfeed. Whatever I read did not go into further detail. I just made an assumption based on that, that she simply chose not to breastfeed. Here, it says she was “unable” to. Do you have any more information on the particulars of why St. Therese’s mother was unable to breastfeed? I’m met with a lot of criticism from my husband’s family (who are the cradle Catholics) about me nursing our children. When I read that St. Therese’s mother did not breastfeed, and how she is becoming a saint with her husband, I was worried family would use this as more ammunition for me NOT to breastfeed. Thanks for any more info! I absolutely love this! Blessed Zelie, I cannot begin to imagine how hard that must have been. Now as for St. Bernard, I can’t even! The humor of it just kills me and I heart him. I had never heard this story though but will now forever remember it of him from here on out. Such a great and timely post for me 🙂 thanks, Mandi and Haley! I added your post to my blog for the Catholic Nursing Mothers League! I love all your posts about being a nursing mama. 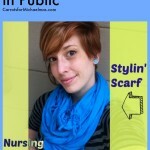 Nursing with my first was a breeze from the start, but I was always afraid to nurse in public! 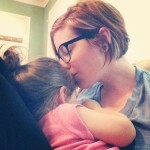 My baby girl and I struggle much more with nursing even though I now have the confidence to nurse in public. Add to that the fact that I am a working mom and therefore spend more time with my pump than my husband some days I appreciate all the support of your blog posts!